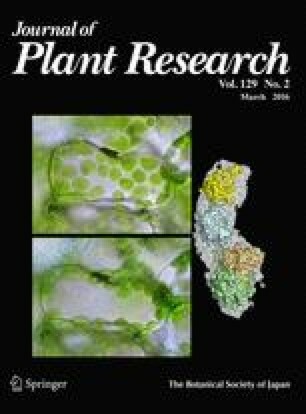 In Arabidopsis thaliana, phototropins (phot1 and phot2), light-activated receptor kinases, redundantly regulate various photoresponses such as phototropism, chloroplast photorelocation movement, stomatal opening, and leaf flattening. However, it is still unclear how phot1 and phot2 signals are integrated into a common target and regulate physiological responses. In the present study, we provide evidence that phot1 and phot2 phosphorylate BLUE LIGHT SIGNALING1 (BLUS1) kinase as a common substrate in stomatal opening. Biochemical analysis revealed that the recombinant phot2 protein directly phosphorylated BLUS1 in vitro in a blue light-dependent manner, as reported for phot1. BLUS1 phosphorylation was observed in both phot1 and phot2 mutants, and phot2 mutant exhibited higher phosphorylation of BLUS1 than did phot1 mutant. Transgenic plants expressing phot1-GFP (P1G) and phot2-GFP (P2G) at a similar level under the PHOT2 promoter demonstrated that P1G initiated higher phosphorylation of BLUS1 than P2G, suggesting that phot1 phosphorylates BLUS1 more efficiently. Similarly, P1G mediated a higher activation of the plasma membrane H+-ATPase and stomatal opening than P2G, indicating that the phosphorylation status of BLUS1 is a key determinant of physiological response. Together, these findings provide insights into the signal integration and different properties of phot1 and phot2 signaling. We thank Akira Nagatani, Yusuke Aihara, and Tomomi Suzuki for providing P2-P1G and P2-P2G lines and valuable discussion; and Sahara Kawakami and Emi Abe for technical assistance. This work was supported by JSPS KAKENHI Grant Number 26711019 and 15K14552 (to A.T.) and 26251032 (to K.S. ), MEXT KAKENHI Grant Number 25120719 (to A.T.), and Cooperative Research Grant of the Plant Transgenic Design Initiative, Gene Research Center, University of Tsukuba (to A. T.).